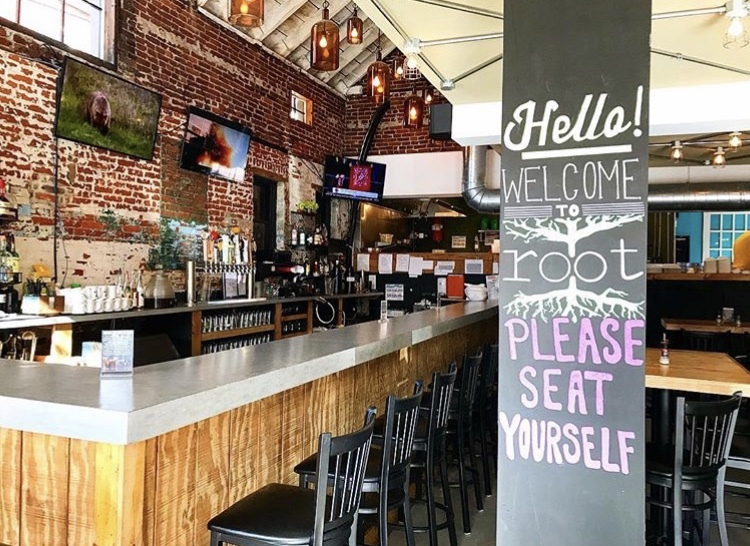 an all vegan restaurant & bar based in Lancaster, PA.
root, an all vegan restaurant and bar based in Lancaster, PA, opened in mid-December 2015. The owner Rob Garpstas, a bar and restaurant owner since 1999, became vegan in 2011. He was inspired by his youngest daughter's interest in animal activism. Rob and his family became vegan for health and animal rights reasons after Rob’s father was diagnosed with cancer. When realizing the health and environmental benefits of a plant based lifestyle he wanted to create a space where he could share his knowledge and passion. His vision for root was to create a rotating menu designed to provide patrons with their favorite foods using seasonal, locally sourced, produce. root is committed to bettering our environment. We are constantly working towards improving our services and practices to protect the planet that we all call home. By eliminating plastic straws, reducing the amount of takeout waste, and helping animals in need, we hope to inspire others to reduce their footprint as well.